Songs of sea and sky : for flute and piano / Peter Sculthorpe. Difficulty: Advanced — Flute AMEB grade 8, piano grade 7/8. Original work, for clarinet and piano, commissioned by the School of Music, Yale University, in honour of Keith Wilson. Facsimile of ed. pub. : London : Faber Music, c1987. Copyright held by Faber Music. CD: Flute Australia. Volume two / Geoffrey Collins, flute, David Miller, piano. 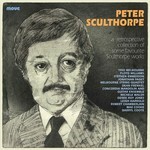 CD: Chamber works / Peter Sculthorpe. 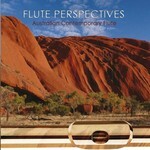 CD: Flute perspectives / Derek Jones, Leigh Harrold.